In this fast-paced world that we live in, we need all the energy that we can get in order to perform our tasks to the best of our ability. Some of us may feel tired on certain days, due to the lack of sleep from over-working, or adapting to major changes in lifestyles. However, if you have been feeling extremely tired for an extended period of time, you may be suffering from chronic fatigue. Chronic fatigue syndrome (CFS) is a condition of prolonged and severe tiredness or weariness. People with CFS find it difficult to carry out daily tasks at home or at work, and it occurs most often in people aged 30-50 years old, more often in women than in men, and sometimes in children and adolescents. Other than feeling fatigued, people with CFS also experience headaches, sore throat, body aches and tender lymph nodes. One of the established causes of chronic fatigue syndrome is due to a mitochondrial dysfunction in the body. Mitochondria are little powerhouses found in the cells of our body, and their purpose is to convert nutrients into energy. They supply energy in the form of adenosine triphosphate (ATP), which is used as an energy currency in all bodily activities. When there is a reduced supply of ATP as a result of mitochondrial dysfunction, cells will not have sufficient energy to perform optimally, resulting in slower bodily activities which we describe as “fatigue”. Optimising mitochondrial function with nutrients, can do heaps in improving symptoms of CFS. Magnesium is an important mineral that your mitochondria needs in order to perform optimally. In order to produce new mitochondria, it depends on enzymes that require magnesium as a cofactor. These same enzymes also play a part in the repair of mitochondria, in which it can be damaged due to oxidative stress during intense physical exercises. Without an adequate level of magnesium, your mitochondrial count may be low, and the rate of repair may be slow as well, leading to less energy being produced for your cells to function. Coenzyme Q10, or CoQ10 for short, is crucial for keeping mitochondria healthy. It is the primary antioxidant that the human cell provides to protect mitochondria when they are producing energy. When there is a lack of CoQ10, the level of ATP that the mitochondria produce decreases. Certain exposures to chemicals like pesticides or environmental toxins causes an increased need or depletion of CoQ10, causing mitochondrial dysfunction. As we age, our body loses the ability to make important molecules such as CoQ10, hence it is best replenished by supplements. Acetyl L-carnitine is a natural derivative of L-carnitine, an amino acid found in red meat and dairy products and in all cells of the human body. L-Carnitine facilitates the transport of fatty acids into mitochondria, which they then convert it into energy. Acetyl L-carnitine molecules function as a delivery system across cell membranes for their two principal components: L-carnitine molecules and acetyl groups; the latter are vital for chemical reactions involved in numerous cellular metabolic processes. Since it facilitates energy metabolism and acts as an antioxidant, it helps to feed and preserve our mitochondria, reducing the risk of mitochondria dysfunction. D-ribose is a type of sugar that serves to produce cellular energy. It is involved in the production of ATP and muscle recovery, both of which are impaired in chronic fatigue syndrome. As D-ribose provides the necessary substrate for the production of ATP, it supports the synthesis of it, increasing energy levels in the cells, curbing fatigue due to low ATP levels. Furthermore, it is effective as it is readily absorbed by the body, and it is free from side effects as well. Vitamin B3, or nicotinamide adenine dinucleotide (NAD), is a vital intermediary in energy production. Without sufficient NAD, energy production is slowed and every single cell in the body will go slow. 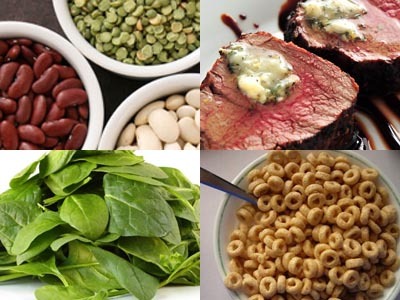 Consuming more protein-rich foods help to supply the amount of vitamin B3 needed for optimum energy production. Another cause of chronic fatigue syndrome is the overproduction of nitric oxide and its oxidant product peroxynitrite, which are released in response to stress. Nitric oxide has a detrimental effect on brain function and pain sensitivity, resulting in muscle weakness, fatigue, and emotional changes. Vitamin B12 helps by removing the levels of nitric oxide in our bodies, reducing the effects of the symptoms in our body. If you have a low level of vitamin B12 in your body, seeking B12 injections can help to alleviate the problem that come with B12 deficiency. With any intervention, you will need blood testing, and an experienced doctor to read your results accurately. Book a consult to discuss your energy needs today. Iron deficiency is the most common nutritional deficiency globally, affecting 1 in 3 women worldwide. Symptoms include fatigue, hair loss, brain fog, poor immune function (i.e. more prone to the common cold/flu), cold intolerance and much more. Unfortunately, it is usually only detected when you become anaemic and have been suffering from suboptimal health and lowered mood and brain function for years by that point. I am iron deficient but I feel fine! This is because iron depletes slowly, day by day, over years. You may not notice, or put it down to stress or lifestyle. The human body is excellent at compensating. No matter how fine you feel while iron deficient, you are at increased risk of poorer heart health in the long run if iron is not replenished. Patients with Thalassemia are at risk for iron build up when iron exceeds physiological level. However, if iron deficient, these patients will still need to top up their iron to a safe level, for the proper functioning of the heart, lungs, brain and other organs. Ask to check your serum ferritin at your next check-up. Serum ferritin is a marker of the iron stores in your body. When the blood concentration falls below 30ng/mL you no longer have enough iron in your body and are probably experiencing many of the symptoms of iron deficiency. Ferritin above 100ng/mL is what I would consider a good number. My experience with labs is their ranges are too huge and patients already begin to see changes in their health before an extreme case is reached and the lab test shows you a red mark. You need someone experienced in the interpretation of micronutrient tests to be able to work out what's going on in your body, and everything is connected. Iron, Zinc, Vitamin C status have to be assessed together. As an integrative and functional medicine doctor, conventional lab Normal doesn't necessarily mean all is clear. Women are most at risk of iron deficiency due to regular menses. For every 1mL of blood that is lost we lose 0.5mg iron. Over a year, a woman with heavy menses can have annual losses exceeding 500mg iron. If you consider that most women only have about 3,000mg or iron in their body it is easy to understand why so many are at risk of iron deficiency. To make things worse, during pregnancy a growing baby will require about 1,000mg of iron from the mother. As 40% of women enter pregnancy in an iron deficient state too many will deliver in a highly iron deficient state. Consequences extist for mother and baby (risk of post-partum depression, low birth weight etc.). How to increase iron levels in the body? Humans cannot make iron so we are 100% reliant on our diet. Iron is best absorbed from red meat, fish, seafood and chicken. Whilst many vegetables have high iron content our bodies cannot absorb this phyto-form of iron nearly as well. In a deficiency state one needs 500-1000mg of elemental iron to make a difference to symptoms. You will only absorb 10% of the iron in a tablet. And will need to take them for 6-12 months to replete your stores if you are deficient. Many forms of oral iron tablets are available, BUT they can cause gastrointestinal issues including diarrhoea, constipation or nausea. It is probably not worth taking iron within a multi-vitamin pack as the iron content is very low and amount absorbed not sufficient to do much. Intravenous iron is an extremely safe, fast and clean option for many of my patients, even during pregnancy. The iron infusions I arrange give 500mg of pure elemental iron safely in a drip, within 15 minutes. Clinical data continues to grow and demonstrates that IV iron offers a rapid correction of iron deficiency with just 1 or 2 injections plus symptomatic relief in a matter of days. Improvements in exercise performance as well as overall general well-being are often observed. Book a consult to discuss IV iron with me.